Liverpool player Xherdan Shaqiri is no doubt growing tired of being stuck on the bench week after week and being snubbed. He came on in the 89th minute in the 2-0 win over Chelsea on Sunday, something which seems to be becoming more frequent with every match that passes. 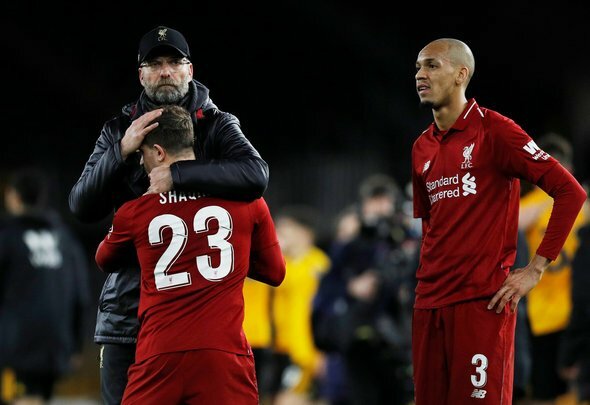 It seems as though putting the 27-year-old on the pitch is just a tactic used by Jurgen Klopp in order to waste time, especiallly if it is his side who are winning. However, the Swiss international’s talents are being really wasted at the moment. It has been a very long while since we saw him in the starting XI, which is a shame – nobody with his quality should be resigned to very little game time. That being said, it would be wise for Klopp to unleash the versatile playmaker against Cardiff on Sunday. He may be deemed as too much of a risk in the crunch clashes against the likes of Chelsea, but his ability to play anywhere in the attack could prove useful against a team who a fighting for Premier League survival as we speak. That is not saying that Cardiff are a complete push over, but surely Klopp can afford to be bold and give Shaqiri the chance to impress? After all, with the end of the season looming, he is not going to get many more opportunities. To be honest, Shaqiri has not really done anything wrong to warrant him being amongst the substitutes. It is just that Klopp has been blessed with a hugely talented squad – even the likes of Adam Lallana are struggling to get game time. Shaqiri has the ability to get game-changing goals, that is something that he has demonstrated previously. That means that Klopp would be incredibly wise to let him off his leash this Sunday.